We help brands stand out from the crowd and succeed with our innovative ideas and state of the art services. Its affordable web design, online stores and business branding for Brisbane, the Sunshine Coast & the Gold Coast. Custom Web Creations is a leading web designer business located in Brisbane. 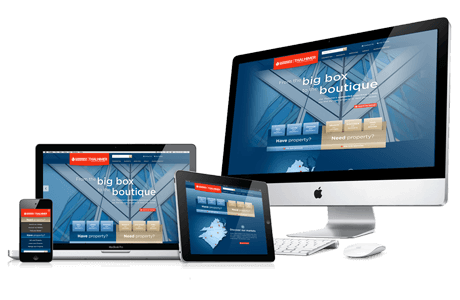 We create powerful, professional websites and E-commerce solutions for small, medium or large businesses. We also develop small business applications including CRM’s, inventory management control systems and much more. We recognize that not only should good web design be visually stunning but also functionally easy to use and intuitive. Our web design is second to none and ensures that the business we build websites for are getting the best end product their money can buy. We have payment plans available so you won’t be outlaying large costs. Our website designer gives your website the individual identity it needs to stand out from the rest. Our specialist website designers Brisbane will exceed your expectations and create an exceptional business asset for your company. Custom Web Creations is a leading Brisbane based web design and web development business and have over 4 years of experience in web design, business branding, and content marketing. Its affordable business website design Brisbane, Sunshine Coast & the Gold Coast. Our designs are pixel perfect and reflect your businesses individual brand and identity through unique designs. We use state of the art & modern technologies to design stunning business branding, websites and online stores. Thousands of premium, customised themes to suit your business’s unique character, identity & personality. Our web designers are fully trained at university level in all aspects of web design, graphic design, business branding and search engine optimisation. This includes user-centered design, color schemes, graphic design, clean and modern themes design and content creation. This ensures that every product we make will have optimum effect on your customers and viewers. Our designs are based on Bootstrap 3 and Bootstrap 4 which are state of the art and modern frameworks used by web developers to produce professional, user-friendly websites.They represent some of the best web developer websites online today. Websites made by Custom Web Creations are 100% mobile-friendly. Mobile responsive websites will get better rankings on search engines, not to mention they also look great and can be accessed from any device meaning more viewers and customers. Getting a website, online store or business branding is easy with Custom Web Creations Web Design. We make the whole process as painless as possible, so you can concentrate on your business. We guide you through the entire process, what we need from you, total cost, so there are no hidden fees, how long it’s going to take, so you are in the know and in complete control. No blowout times, no hassle. From initial conception to the very end, we keep you updated on what you need to know. Unlimited design revisions, we won’t be satisfied until you are completely satisfied with the end result. Our projects are organised by management experts, so your website is delivered on time, error-free. We offer high-end server maintenance of the website, no fuss, no worries, your website will load fast every time. If you require any changes to the actual design, such as adding content, after the website has been finalized we can do that for a minimal fee. We believe in strengthening our business – client relationships. Our ongoing support is second to none, our mission is to keep you happy. WE HAVE HUNDREDS OF DIFFERENT LAYOUTS AND DESIGNS SO CONTACT US AND WE’LL DISCUSS WHAT WE HAVE TO OFFER.